FRANKFURT -- New-car registrations in Germany fell 3.3 percent in September as continued uncertainty over the future of diesel-powered cars hit demand. Overall sales last month fell to 288,035 with one less selling day, the KBA motor transport authority said on Thursday. 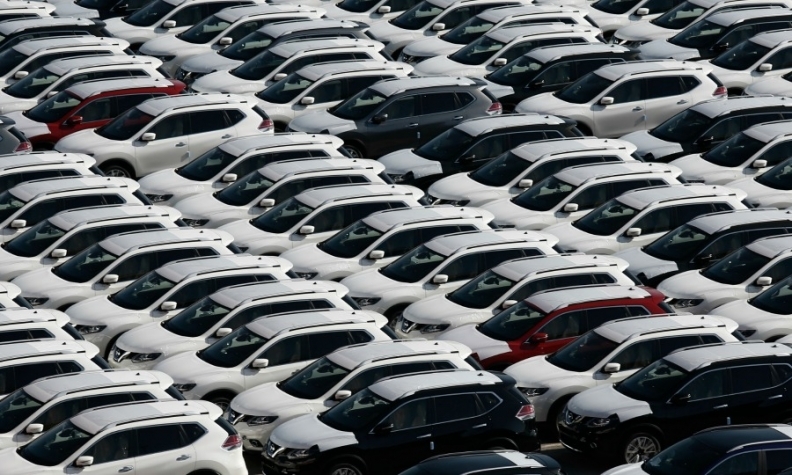 Nine-month volume rose 2.2 percent to 2.61 million vehicles, the KBA said. Continued public discussion about possible bans of diesel vehicles by some German cities hit diesel sales hard last month. In addition, the possibility of the country's Green party participating in a future coalition government following last month's elections, could spell bad news for automakers, observers have said. September registrations of new diesel models fell 21 percent to a share of 36.3 percent. Sales of gasoline cars jumped 8.7 percent to a share of 59.7 percent. Despite the fall, Germany's VDA auto industry lobby was upbeat on Wednesday, saying that annual sales will grow more strongly than expected, boosted by automakers' trade-in incentives for older diesel models. The group said registrations may increase 4 percent this year to about 3.5 million vehicles, compared with previous guidance that sales would be flat after 2016 results of about 3.35 million cars. Germany's September drop follows a 9.3 percent plunge in UK sales. In France, sales were up 1.1 percent, while in Italy and Spain volume rose 8.1 percent and 4.6 percent respectively, according to data published in recent days. Market leader Volkswagen brand saw sales drop 8.2 percent last month as sales at No. 2 Mercedes-Benz fell 2 percent. Rival premium brand BMW bucked the trend with a 3.6 percent rise in third position, while fourth-placed Opel's sales were flat, falling 0.3 percent. • Download PDF, above right, for German sales by brand for September and 9 months. Rounding out the top five, Audi saw its volume at home fall 8.6 percent. Skoda, in contrast to rival sibling VW, grew sales 12 percent last month, while Ford registrations were down 16 percent.